Thiruvananthapuram Sep 14 (IANS) The Congress party on Friday asked the Kerala government to explain why service firm KPMG is being paid Rs 66 lakh to design a website of a state government organisation. 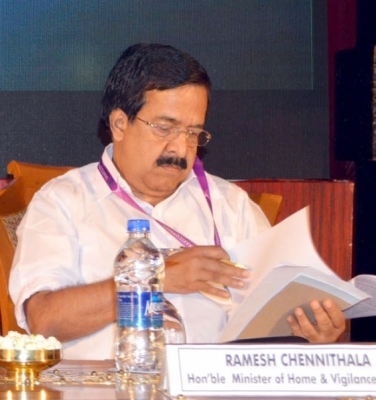 "Now with the government order of giving the job of web designing of Roots-Norka to KPMG for a whopping Rs 66 lakh the state government should explain the relation between the government and the firm " Leader of Opposition Ramesh Chennithala said. "What s more important is that the contract to redesign the website was given to KPMG on August 17 -- the day when the state was passing through its worst ever floods " the senior Congress leader said. "It should be noted that the job of redesigning a website was given to KPMG when there are several state government agencies who are experts in this job. "The state government owes an explanation on why this happened and should come clean on if there are any more contracts that has been awarded on the sly " added Chennithala. Chennithala earlier in September had written to State Industries Minister E.P. Jayarajan who is spearheading the rebuilding operations to first verify the numerous complaints that have surfaced against KPMG even if their offer is free.